Google surpassed the 72% market share level again According to the latest numbers from Experian Hitwise, Google exceeded the 72% market share level again. For Google, the May 2010 market share of 72.17% is up slightly over April. Meanwhile, Yahoo and Bing both saw slight declines according to Hitwise. Google hasn’t been above 72% on the Hitwise chart since last December, when it reached 72.25% market share. Bing’s market share (above) of 9.23% is also its lowest since last December (8.92%). Another interesting point raised by the Hitwise report is that Google has been delivering the most visits to the various search categories – Automotive, Shopping and Travel. Yahoo gains upstream traffic to Automotive and Shopping while Bing gains triple-digit increase in Health and Shopping search verticals. Mobile giant Nokia is under pressure from other manufacturers in the smart-phone market sector in Finland. The American iPhone, for example, has taken over one-fifth of the market share while Asian producers also intend to follow suit. Although some 88.7 percent of all phones used in Finland are manufactured by Nokia, a change of fortunes could be in sight, says Panu Lehti, Product Manager of service provider Elisa. “Nokia has managed well in Finland but this position could alter if a new comparable smart-phone does not appear by next summer,” he adds. Last week, Nokia's share price took a nosedive after the mobile phone giant slashed its outlook for its devices and services unit. Shares dropped by around 10 percent on the Helsinki and New York stock exchanges. 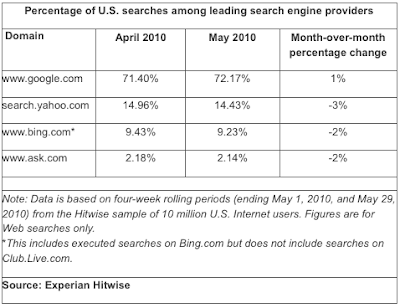 The 3 largest US search providers continued their long-term dominance of the online search market in May 2010, according to data from The Nielsen Company. 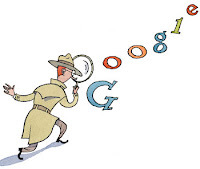 In total, Americans performed 9.25 billion online searches in May 2010. 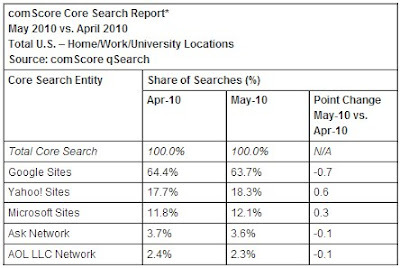 Just three providers, Google Search, Yahoo Search, and MSN/Windows Live/Bing Search, accounted for slightly more than 90% of all US searches during May 2010, MarketingCharts reports. Google held a 65.1% share of the search market with 6 billion searches, its share flat from the previous month, while Yahoo came in second with 13.8% market share and 1.27 billion searches, enough to boost its share by 0.3 percentage points. MSN/Windows Live/Bing closely trailed Yahoo with about 2 billion searches and 13% market share (up 0.1 percentage points from April 2010). The fourth-ranked provider, AOL Search, accounted for only about 191.2 million searches and 2.1% market share (down 0.4 percentage points). Overall, the US search market showed minimal fluctuation between April and May 2010. AOL lost the most percentage points from its April market share figure and Yahoo gained the most. Four of the top 10 providers, including Google, maintained flat market share compared to the prior month. Google's Android operating system has been gaining more and more market share lately, leaving behind older smartphone platforms on the market. While the ecosystem as a whole is moving forward, there are some changes within it that are worth mentioning. Among them, it is important to note the fact that Android 2.1 now accounts for half of the Android-based smartphones out there. This platform version has enjoyed the largest share among other Android flavors for quite some time. Only two weeks ago, Android 2.1 accounted for around 45 percent of the devices on the market, but now it is present in a full half of them. This comes as great news for the platform, even if almost the entire other half of the phones is powered by the older Android 1.5 and 1.6 versions. In terms of share, Android 1.5 accounts for 24.6 percent of the Android phones, while Android 1.6 for 25 percent of them. 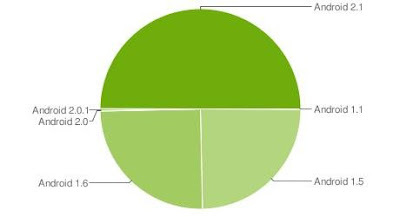 Android 1.1, 2.0 and 2.0.1 are also present in the latest report from Android Developers, with 0.1, 0.1 and 0.3 percent share, respectively. The fragmentation of the OS has been a hot topic a while ago, yet it seems that things are now moving in the right direction. 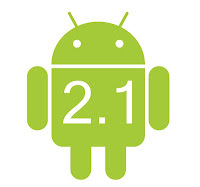 Android 2.1 has been gaining pace on the market and among other Android versions courtesy of new, highly appealing devices being released on shelves, in addition to a series of software updates that various handset vendors delivered for their devices. We've seen Motorola DROID brought up to Android 2.1, as well as phones like HTC Hero or Samsung Moment at Sprint in the US. 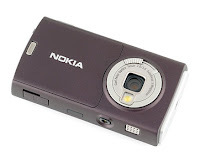 Other devices should also enjoy the upgrade in the near future, including the European Hero or Sony Ericsson's Xperia X10 family. With Android 2.2 (Froyo) expected to start rolling-out soon on new phones and on existing devices, things should change a little. However, Google did say at one point that Froyo and its successor, Gingerbread, were meant to bring unity to the platform, as we won't see so many new, different versions of the OS being pushed into the wild in such a short period of time. Samsung took the lead in market share in LCD-TVs for the first quarter of 2010, according to technology research firm iSuppli Corp.
Samsung shipped 1.1 million LCD-TVs in Q1. This was down 33% from their shipment total in Q4, but outperformed the entire U.S. market, which contracted 35.8%, mostly due to seasonal factors. This helpedSamsung increase its market share from 17.3% to 18%. Second-place Vizio saw unit-shipment declines of 42.2%, shipping just over 1 million LCD-TVs in Q1 for a 16.7% market share. Sony (11.3%), Sanyo (8%) and LG Electronics (7.8%) finished third, fourth and fifth, respectively. Because of new product features, the average price of LCD-TVs in the United States increased by 7% to $830 in the first quarter, up from $774 in the fourth quarter of 2009. The U.S. LCD-TV market in 2010 is set to transition away from traditional Cold Cathode Fluorescent Lamps (CCFLs) and toward LED backlighting technology. Shipments of LED-backlit LCD-TVs in the United States are projected to rise to 7.7 million units in 2010, up about 600% from 1.1 million in 2009. LED-backlit models will account for nearly one-quarter of all U.S. LCD-TV shipments in 2010, at 23.4%, up from only 3.4% in 2009. U.S. shipments of Internet-enabled televisions are expected to rise to 11.8 million units in 2010, up from 6.9 million in 2009. Among U.S. consumers who purchased new televisions in the first quarter, 26.8% indicated their new sets were connected to the Internet, up from 24.3% in the fourth quarter of 2009. The most popular types of Internet content accessed by consumers are movies and social networking services, according to iSuppli. ComScore has reported this week that both Yahoo and Microsoft "gained" share in the U.S. search market for May, although both companies appear to be using gimmicks to distort the numbers in their favor. By the numbers, Google remained the clear leader but share fell from 64.4 percent in April to 63.7 percent in May. Yahoo gained share, from 17.7 percent to 18.3 percent. Microsoft's Bing jumped to 12.1 percent, from 11.8. AOL fell marginally from 2.4 percent to 2.3. BusinessInsider reports, however, that both companies are "gaming" the stats, by placing thousands of links on their respective homepages that are search queries pretending to be content. Additionally, the companies have been creating image slideshows as search engines, as well, in an effort to get additional clicks. Analyst Ben Schachter of Broadpoint Amtech says without the tricks, real search traffic numbers would have shown Yahoo falling to 16.6 percent, Microsoft holding flat at 10.8 percent and Google gaining to 66.4 percent. Following the revelations, comScore says it will change the way it accounts for share, so the industry does not consider their work worthless. More than 5 million e-books have been downloaded via Apple's iBookstore since the iPad device launched in the US roughly 10 weeks ago, the manufacturer claims. Speaking at the launch of the iPhone 4, Apple chief executive Steve Job said: "Five of the six biggest publishers in the US tell us that the share of iBooks is up to about 22% — in about 8 weeks! We’re really thrilled with that." Adding that in the first 65 days, users have downloaded over 5m books, equal to about 2.5 books per iPad. There are more than 60,000 books available via the iBookstore. However, the majority of the e-books are out of copyright works, made available through Project Gutenberg. Jobs also announced that the iPhone 4 will have access to the iBooks app. 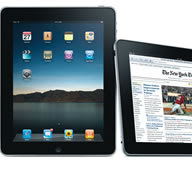 This will synch between devices, meaning the user can read across the iPad, iPhone or iPod touch. Users can also now read and store PDFs in iBooks. Jobs heralded the iPhone 4 as "the biggest leap since the original iPhone", highlighting features such as 'Retina display', which he claimed created "the highest resolution display ever in a phone, with text looking like it does on a fine printed page". The new device will be available in the US for a suggested retail price of $199 (£137) for the 16GB model and $299 for the 32GB model. It will be rolled out simultaneously in the US, France, Germany, Japan and the UK on 24th June, and countries including Australia and Canada "by the end of July". Apple said by the end of September it aimed to have iPhone 4 available in 88 countries altogether. New features in the iBook were also shared by the CEO. One of the features is the ability to highlight text, add bookmarks and create notes. The table of contents also has the list of all bookmarks and notes created by the user. The updated iBook will also be supporting PDF documents thereby extending the app’s ability to display books to a large number of new titles. Baidu Inc. is targeting search growth to 79 percent market share of China by next year, based on a report from Thompson Reuters citing the company’s general manager Tang Hesong on Tuesday. The China-based Internet search company has benefited to a great extent from the exit of Google Inc., the worldwide Internet search leader, from the world's most populous nation earlier this year. Baidu's Internet search market share in China jumped from 58.4 percent to 64 percent from the last quarter of 2009 to the first of this year, as Google's market share dipped in the country to 30.9 percent from 35.6 percent. If Google entirely falls off the map in China, Baidu could completely own the Internet search industry in the country, as there is no other legitimate rival currently entrenched. The next closest competitor to Baidu after Google in China is Sogou, with a microscopic 0.7 percent market share in the first quarter of 2010. Sogou and other minor players in the China market were not able to profit from the drop off seen by Google in the first quarter. The 70 percent market share foreseen by Baidu's GM may not be outlandish; it may actually be a conservative estimate if Google pulls out of the China market over the restrictive censorship policies. Baidu share are up 40 cents to $70.21 in late market movement on Tuesday. Nielsen has released their most recent smartphone OS market share numbers, and despite earlier reports, it appears that the iPhone OS still has a clear lead over Android. Year-over-year, smartphone ownership went up from 16 percent to 23 percent of overall mobile consumers. 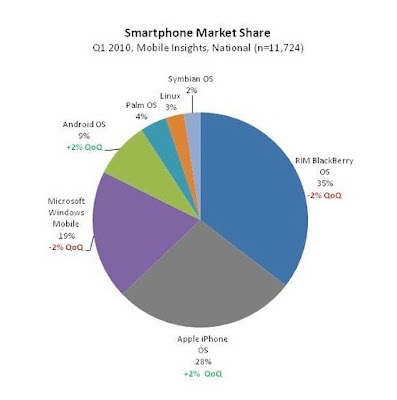 RIM Blackberry’s were still the clear leader, at 35 percent, but quarter-on-quarter (QoQ) the OS lost 2 percent share. The Apple iPhone was in second at 28 percent, seeing strong 2 percent growth QoQ. Microsoft's struggling Windows Mobile platform lost 2 percent to 19 percent, but still good for third place. The up and coming Android platform grew 2 percent, as well, to 9 percent and continues to see strong growth since its launch in late 2008.
iPhone users were the most loyal, with 80 percent saying their next phone would again be an iPhone. 70 percent on Android owners said their next phone would be an Android device again. The numbers get lower from there. According to the latest report from NetApplications, Google's Chrome browser continues to take market share at a rapid rate, and is continuing its pace to exceed the 10 percent milestone by the end of the year. For the month ended 31st May, Chrome moved to 7.05 percent share, up from 6.73 percent at the end of April. Google's gain came at the expense of Microsoft's Internet Explorer and Mozilla's Firefox, which both continue to lose share on a continuing basis. 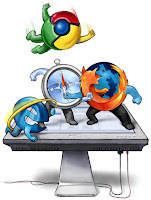 IE, which once owned 93 percent of the market, fell to 59.69 percent from 59.95 at the end of April and Firefox dropped to 24.35 from 24.95 percent. Apple's Safari, which continues to see growth but at a very slow pace, rose to 4.77 percent from 4.72 the month before. Additionally, IE6, the aging browser which has seen its reputation hit repeatedly over the past year fell to under 10 percent for the first time ever.